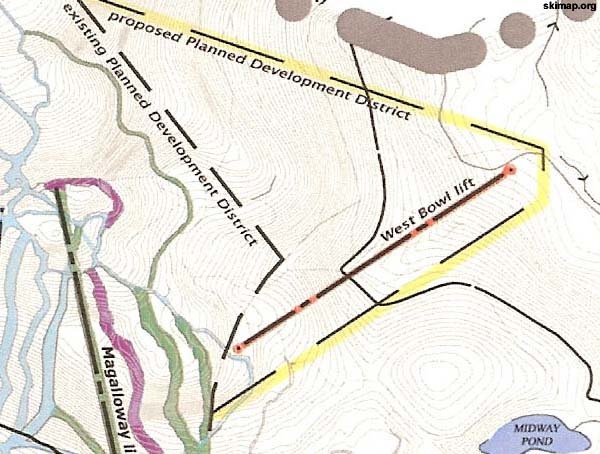 Tying into the proposed Magalloway area, West Bowl was first depicted on the 2006-2007 Saddleback trail map. 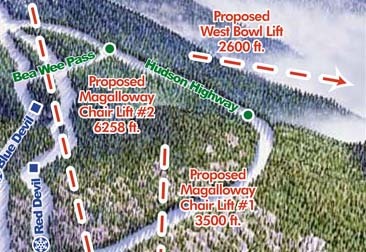 The 2006-2007 map showed one 2,600 long foot running down the southwestern face of the area toward Cascade Stream, serving backcountry trails. 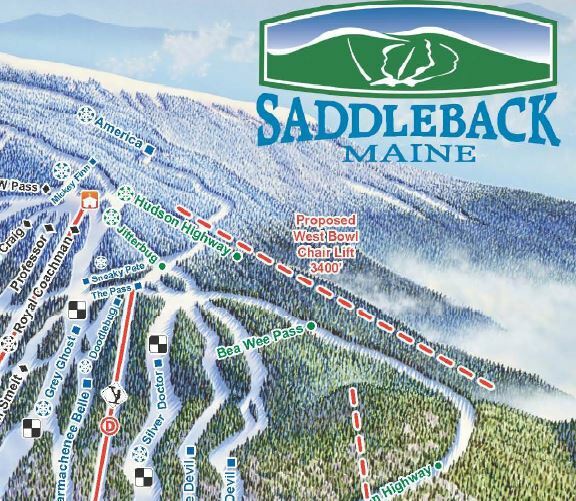 A 2007 development plan suggested the lift and associated backcountry trails could have been developed for the 2011-12 season. 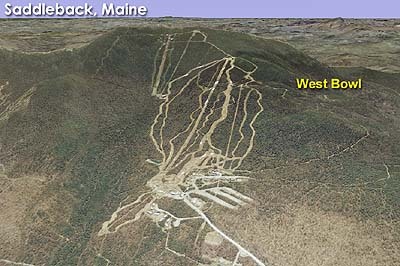 The proposed West Bowl area was removed from the Saddleback trail map in 2009-10, but reappeared as a proposed 3,400 foot lift on the 2010-11, 2011-12, and 2012-13 maps. It was not displayed on the 2013-14 trail map. It is not known if or when it will be developed.